Last week, our staff had the rare opportunity to hang out with Gary Haugen, Founder and President of International Justice Mission, a global justice ministry headquartered in Washington, D.C..
During our time with Gary (at our all-staff meeting and in an earlier prayer gathering), we talked about a variety of subjects. But within all the discussion, a consistent theme emerged. It’s a perspective I believe is at the heart of IJM’s success – and frankly any other ministry focused on righting wrongs, locally or around the world. That perspective was contained in two words that Gary first shared at an early-morning prayer meeting: “overwhelming opportunity.” He said it several times that day. How hard is it to see up-close and personal the faces of victims of injustice? …soon-to-be-released prisoners who understand how to make money fast on the streets, but who have come into a relationship with Jesus and know that they need help and employment to become productive on the “outside” and in-sync with their nature as a “new creation” in Christ. Overwhelming? Yes. And these are just a few examples. I’m sure you can think of many others. It would be easy to stop there. And many people do. But some are able to move past “overwhelming” and the fear that often accompanies it. How? By focusing on the nature and character of our God. Sovereign. Good. Holy. Compassionate. Self-Sacrificing. Powerful. Capable. Waiting for his Church (that’s you and me) to see the need, step up, and make themselves available to help. The Bible is full of “overwhelming” situations that enable God to show up in BIG ways! When we begin to develop a perspective of “opportunity” in the face of big challenges, we are halfway there. It starts right where God has you. God has not likely placed you where you can kick down brothel doors. But he has placed you in your neighborhood. Do you know your neighbors? What about your coworkers or classmates? You are surrounded by people who need healing and hope. They want to be known. They want to know someone cares. They need their door of desperation kicked down with the hope of the gospel and the revelation of a God who loves them and wants to set them free. Then, there are those outside of your circles, those we mentioned before – who are in dark places all over this city and around the world, who live their days in fear, desperation, poverty, and isolation in ways we are only beginning to understand. Overwhelming? Yes. Full of opportunity for God to bring hope and healing through you? Yes. 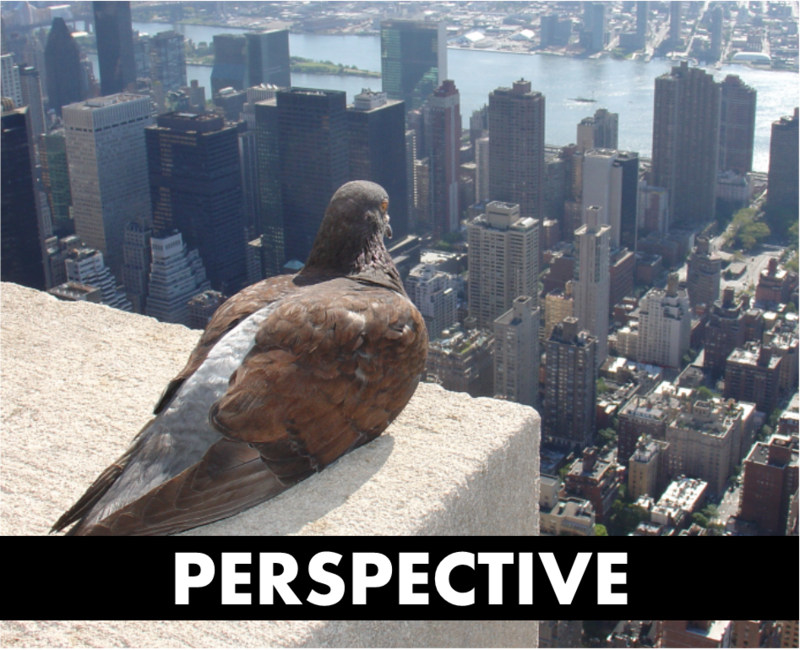 It starts with a powerful PERSPECTIVE, a perspective that sees “opportunity” in the “overwhelming.” Do you have it? The post The Lifechanging Perspective of the Head of International Justice Mission – in Two Words appeared first on Watermark Community Church Blog.